Counterpress was formally launched at a plenary during the Critical Legal Conference in Belfast last week. This is Illan rua Wall's intervention at the launch in which he reflects upon the Press and critical legal strategy more broadly. But how do we, as Crits or ‘BritCrits’ respond to this question of organisation and the party. For me, the Nancean critique is central. Aside from one or two notable current exceptions, the party with its pre-given ideology, its common line, and list of authorised thinkers, ultimately is a foreclosure of thought. It is a way of sacrificing the real at the altar of the ideal. The Critical Legal Conference (CLC) has long prided itself on its transient and ever shifting mode of organisation. There is no certifiable membership, no progression through the ranks, and no central committee. Instead there is an an-archic community which is never more than its momentary presence in Belfast or Stockholm, London or Leicester. In a sense, the CLC is an anti-party, or it is a party only in the sense of a carnival of CLS. In 2007, at the Birkbeck conference, I was part of a move which suggested that we generate an association. Our thought was to operationalize the CLC politically, after a number of perceived political defeats of critique in the UK. We saw, very quickly that this was an error. As something of an inoperative community, the CLC could maintain the space of the political. By way of its institutional absence, it withheld the conservative micro-politics that you get with associations. 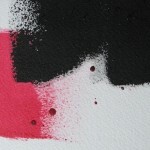 As a space that is only ever determined by those who take part, it remains resistant to overarching sovereign gestures. But there is organisation, the most recent being last weekend in Queens, Belfast, a wonderful event, full of the multiplicity and vibrancy of current critical legal studies that we have witnessed. There is organisation, then, but it is not an over-arching, transcendent sovereignty of an association, but the quiet and thinking practice of a conspiracy. 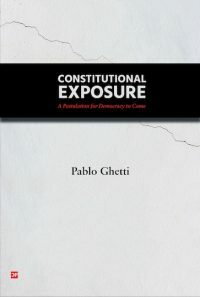 At a time at which global and national elites are engaged in an unprecedented assault on the living conditions and rights of working people, when democracy, even in its ‘low intensity’ form, is in retreat: the leading lights in critical legal inquiry are retreating into the gardens of their own imagination, and abandoning the less pristine, less genteel footpaths and public squares of politics. The simple response to O’Connell’s critique was that the CLC is always more unruly, always more un-representable than the organiser’s would like it. The call for papers is an opening, an invitation to thought, rather than an insistent sovereign gesture. But this is already avoiding the fundamental truth of O’Connell’s argument. Whatever about last year’s event, we now find ourselves with fewer tools of political activity than we might like, despite twenty years of withdrawal into the consideration of ethics, aesthetics and the political. The BritCrits of the eighties seemed to have had a clearer idea of their targets, their strategies and their solidarities. If positivism was hegemonic, then deconstruction, feminism, law and literature, and psychoanalysis were the tools to aim for the beating heart of ‘the system’. But today, in the noose of austerity politics and the violent death-throes of neo-liberalism, what is in our arsenal, what fight is left in critique to deal with the closure and disciplining of radical activity within and without academia. 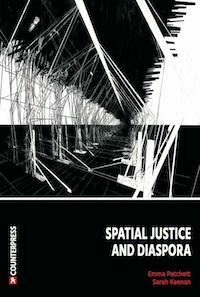 Of course we have an impressive back-catalogue of ideas, debates and discussions: from forays into aesthetics, deconstruction, psychoanalysis, literature and ethics, to theories of exception, rights, property and resistance. Critical approaches to law have proved massively productive, and have radically changed the face of legal analysis. We have many ‘public intellectuals’ among us. Interventions have been made in many of the pressing debates of the day, generations of undergraduates have been brought up with radical ideas, institutions have been taken over and run with varying levels of radical or critical ideas. But how are we to think beyond our current position. The challenge, I suggest, is to think strategically. To give you an example, academic life in the UK, and indeed around the world, is structured by various metrics: from the REF, H-indices and impact factors, to student evaluations and National Student Survey, to the Times Higher, the Guardian or QS World rankings. Burrows explains that each level of these audit processes have local effects, but when aggregated, we find the generation of ‘academic value’ necessary for the creation of a fully functioning market. In other words, each measurement loses its relation to what it measures and becomes collected together with all the other measures, to render students, academics and universities commensurate and therefore subject to exchange. I should say here, we might also talk about the cognitive factory of the university, the precarious labour of junior academics, with zero-hour contracts, job in-security and no social benefits. Or we could talk about the commodification and privatization of publicly funded academic research, or other elements in the privatization and destruction of what we knew as the university. But let’s just stick with the question of metrics and marketization. The response can be seen from a post on Critical Legal Thinking, where the German Sociological Association called on academic departments to boycott the rankings systems. Despite being widely read and circulated, there was little interest in actually undertaking it within the UK. Ultimately, critical academics are often at the forefront of their field. To be radical requires thinking against the structures around us, and so it often appears that we do some of the most novel, and therefore valuable research—in terms of the market for ‘academic value’. In this sense, while we may not actually buy into the systems of measure and its disciplining effects, we will often fail to organize a broad base of resistance to them. Instead we resign ourselves to their pernicious effects. Thus, I suggest that we come to the core problem. On one side we have the wonderfully inoperative CLC. It is an instantiation of a community which resists sovereign gestures, and instead performs the openness and undetermined nature of the political. When it comes to organization its method is not liberal openness and representation, but transgressive conspiracy and direct participation. On the other hand we have a certain resignation in the face of overwhelming global forces of the marketization of the university. The problem, however, is not the absence of some behemoth of the academic left fighting and losing against the unstoppable tide of neoliberalism. Nor is it that critical academics are quietist—far from it. Rather it is the question of organization itself. What I am suggesting therefore, is absolutely not that the CLC should become something else. Precisely because in its current form, it remains only a becoming. To become something else would be to halt that process and institute foundations and overarching determinations. What I am calling for instead is certain modes of organisation to spin off from the CLC, attempting to maintain the political edge of the conspiracy of friends, while allowing for more direct action. The blog, Critical Legal Thinking, is conceived precisely along these lines. There are over forty ‘editors’ or conspirators, and two or three of us who do the everyday editorial and design tasks. Counterpress is conceived in the same way. It is based around one central strategic hypothesis: that radical critique can only thrive when read broadly. It will begin with short pocket-books, free on-line and cheap in print. In this it is precisely framed against the fetishization of ‘prestige’ publishing where prestige is generated by massive mark-ups and arcane editorial processes. By attempting to move away from longwinded, highly specialized monographs and heavy journal articles hiding behind pay-walls, the press is framed as an alternative to the REF and other metrics. We have no doubt that the REF will capture some of our activity either as publication or impact, but the press is conceived, not as a resistance as such, but rather as a turning away from these metrics. The old critique of resistance was that it ultimately was determined by that which it resisted. 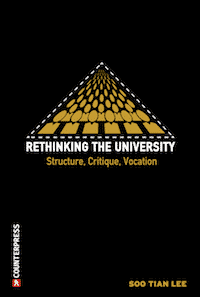 To begin to undermine the efficacy of measure, and the fetishization of the university as the only site of critical thinking and practice, we need to turn away from them, beginning to think about other ways of constructing and supporting radical thinking. Because we insist that writing is a labour of thought, we will pay the highest levels of royalties. We hope these will offer a steady stream of income to the authors. Part of what this not-for-profit press earns will be spent in the future supporting other types of critical activity along the lines of Antipode. In this, we hope that being a critical legal thinker may not necessarily require a presence within a university. The press is the beginning of a strategic turning away. It is an attempt to think about organisation and conspiracy, without a determinative idea of what it might become. Instead, it is structured around hope, which, as Bloch insisted, was a reaching out towards the future. It is both a mode of intervention but also a practice of critique. It is an organisation like the CLC and Critical Legal Thinking, privileging direct activity and thinking together. It is a conspiracy of friends, and we hope you will take part. I read this article and found it very interesting, thought it might be something for you. 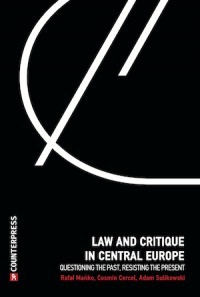 The article is called Counterpress and Critical Legal Strategy and is located at http://criticallegalthinking.com/2013/09/11/counterpress-critical-legal-strategy/. I very much welcome this call for the critical (academic) Left to think strategically, something it has been all too happy to disengage with in recent years. However, I fear that any attempt to think politically about the problems we face that does not attempt to grapple with the difficult and ugly issue of institutional power will resign itself to having extremely limited effects. 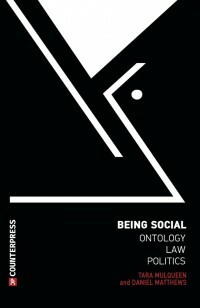 Perhaps academic critique will always have a marginal role in the overall distribution and direction of power, and indeed perhaps preserving this space of critique as marginal is important to keep a space of thought autonomous from existing political structures even as it seeks to intervene within or against them. However, critique should not confine itself to marginal concerns. If we are to reclaim viable futures we need to take on the problems of planning, infrastructure, energy, technology, distribution, etc, not as somehow outside the political (or worse on the side of an inherently bad ‘Power’ etc), but as bound up with the objects and terrain of struggle as well as the sites for new thoughts, structures, subjects and so on to emerge from. 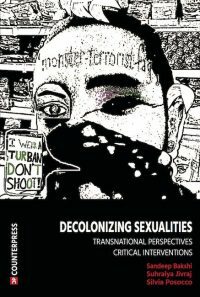 As much as the position of the ‘outside’ is needed today to remind people that there is not ‘no other way’ and more broadly needed to burrow under forms of institutional power that claim some form of totality, the terrain of struggle will in fact be given up if struggle is always to take place and speak to concerns that exist purely within/from the ‘outside’. This venture however, in so far as it posits itself against the institutional metrics and publishing regime of the neoliberal university, presents a genuine alternative to existing forms of power, at least in this site of micropolitical struggle. This can effectively act as one part of a hegemonic process to regain ground over political debate and decision making and steer the course towards a different future. It seems however that this press is an institution and that this should be clearly recognized and indeed welcomed even as it originates in, and is developed through, critical positioning regarding existing, dominant institutions of publishing. Maybe the radical Left needs to start thinking in forms of construction and not only critique. This press can be a small part of this broader change in orientation but to do so we must not only widen the audiences reached but the scope of the questions asked. Let’s begin from the end. Turning away. There is both an external and an internal departure. The external- departing from a system of production, reproduction of knowledge and exploitation of labour. I think counterpress opens in this respect itself to writing with less exploitation. The fact that the press considered the redistribution of earnings it is a real departure. A departial from the world of ideas to the material world- we are bodies. This is something. I am not sure whether we need to call it strategy. It happened and it has effects. The second the internal critique- clc. CLC has never been open. CLC has its exclusions, it’s brutal wars. There are written articles on this. The suggestion for forming the clc as an association- a suggestion made by the organising committee- Illan Wall, Elena Loizidou, Ben Golden Victoria Riddler, Chris Lloyd and Oscar Guardiola Rivera, Lucy Finchett Maddock- was not defeated because the suggestion would have closed the open form of the clc- but rather because the current so called open form would keep things closed- authority held in the hands of few. The idea of an association- coming from the non-hierarchical way that the conference was organised in 2007- no gods no masters- was defeated by those that still want to be masters. To turn away – may also mean to address and recognise how exclusionary in its internal practices the clc is.